It’s gonna be a hard act to follow. Jeff Ament, the bassist for Pearl Jam has already visited the store. But Encore Apparel Co. founders, and college buddies, Casey Paton and Mark Lisavich, hope that he won’t be the only rock star to wander through the doors. Their goal, in addition to selling the apparel they design, is to create a space where people can play music and chat with other aspiring musicians. The hope is to one day even host events and meet-and-greets for bands coming through town. But for now, the store sells a line of super soft t-shirts made to mimic your well-loved concert tee, as well as hoodies and hats that are cleverly packaged in a record sleeve. The two guys got the idea for the store when they reconnected over their shared passion for music back in Boston after leaving jobs on Wall Street. Not just a vanity project, part of their profits will go to their charity effort, “Project Encore: 50 Makes 1”; for every fifty Project Encore t-shirts sold, the two will donate a guitar to a high school music program or non-profit. So, stop in and maybe, just maybe, you’ll see a rock legend while you’re there. At the very least, you’ll get a cool tee. 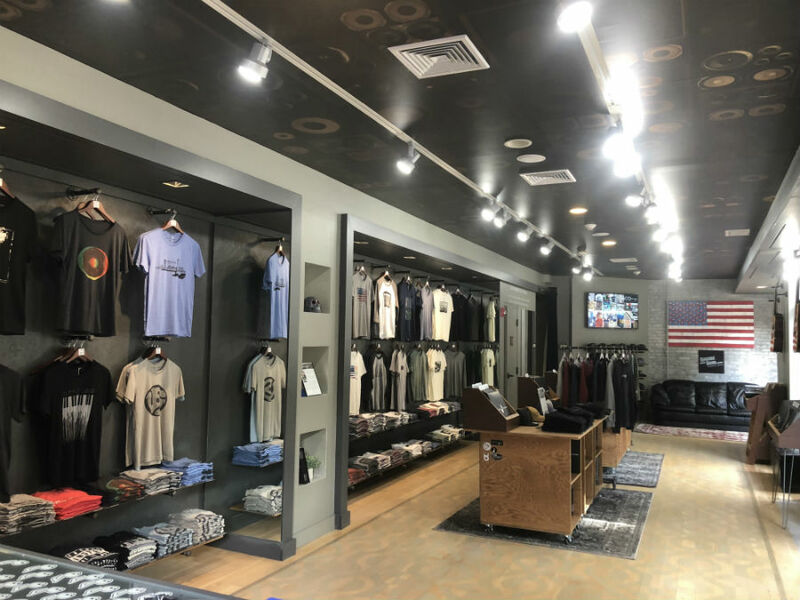 Encore Apparel Co. is located at 303 Newbury Street and is open on Monday through Saturday from 12 p.m. to 7 p.m. and on Sunday from 12 p.m. to 5 p.m.